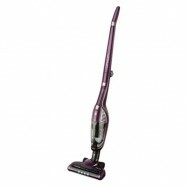 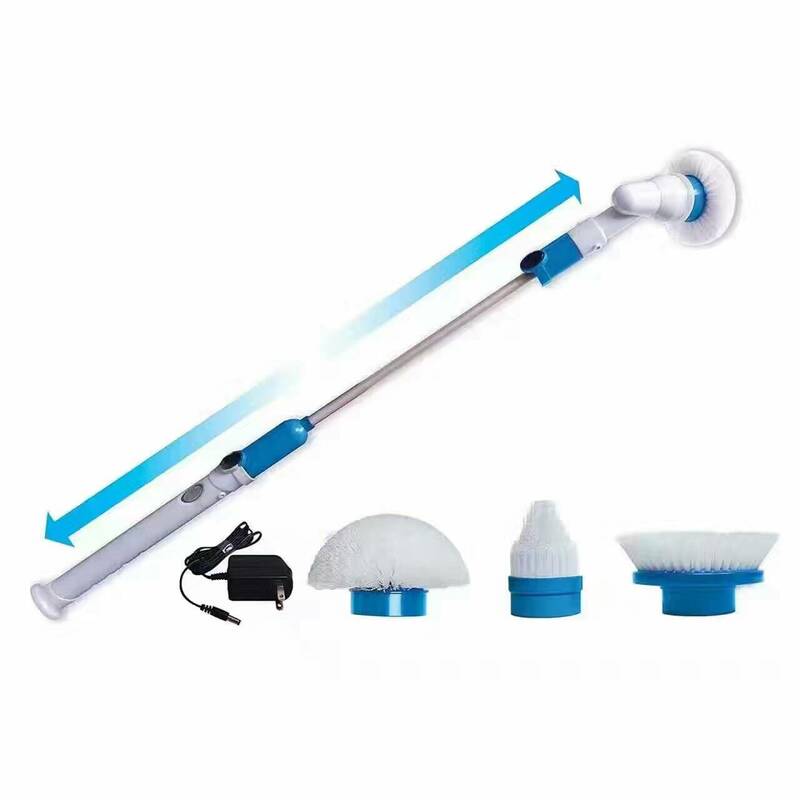 Cleaning is now a Breeze! 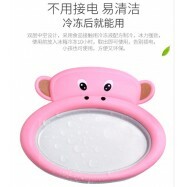 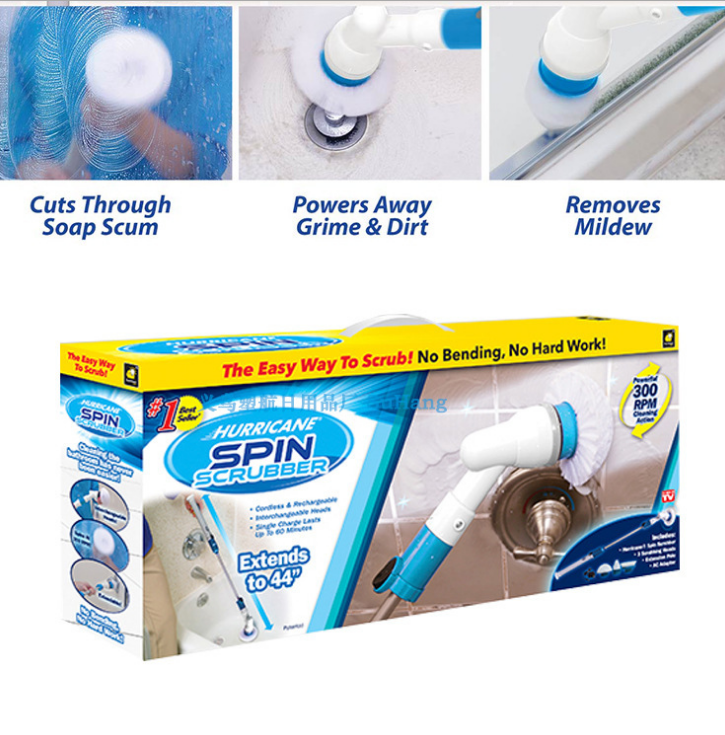 Tired of scrubbing on your hands and knees? 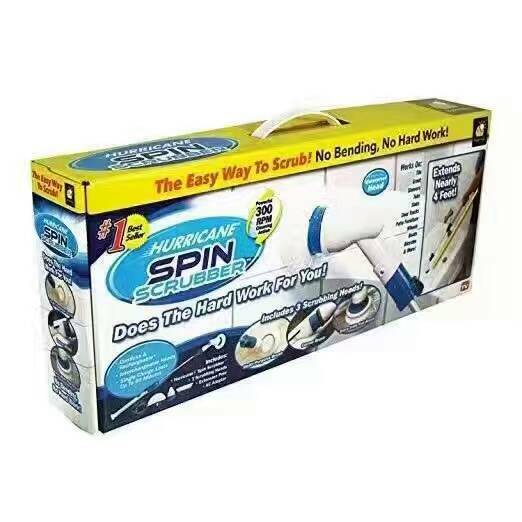 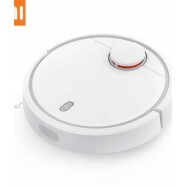 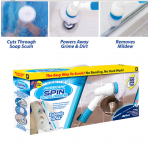 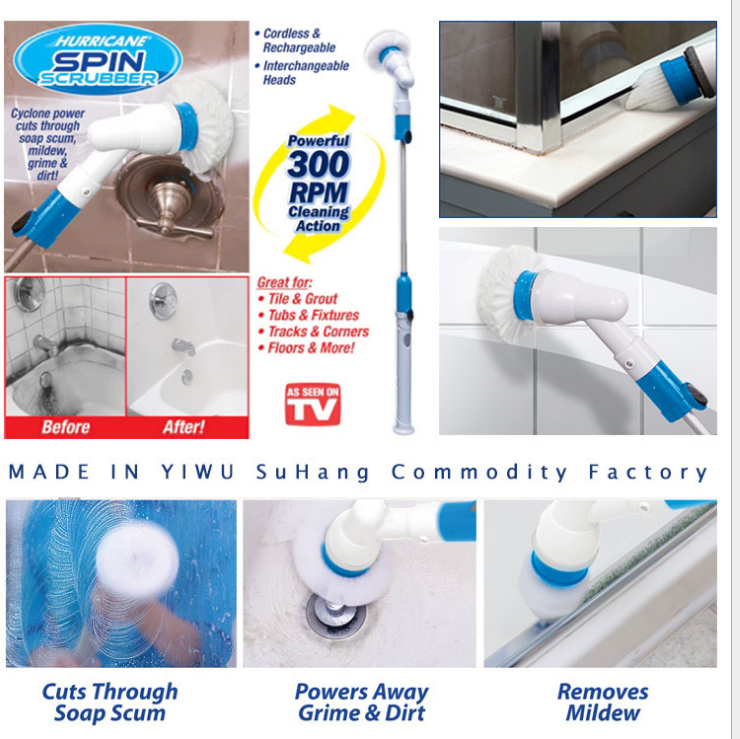 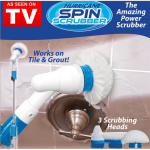 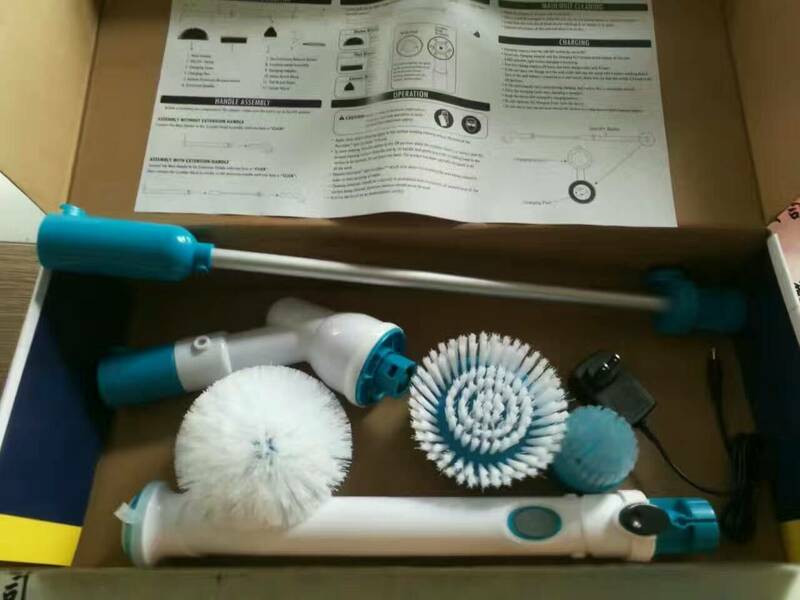 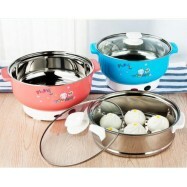 Amazing Hurricane Spin Scrubber does the hard work for you. 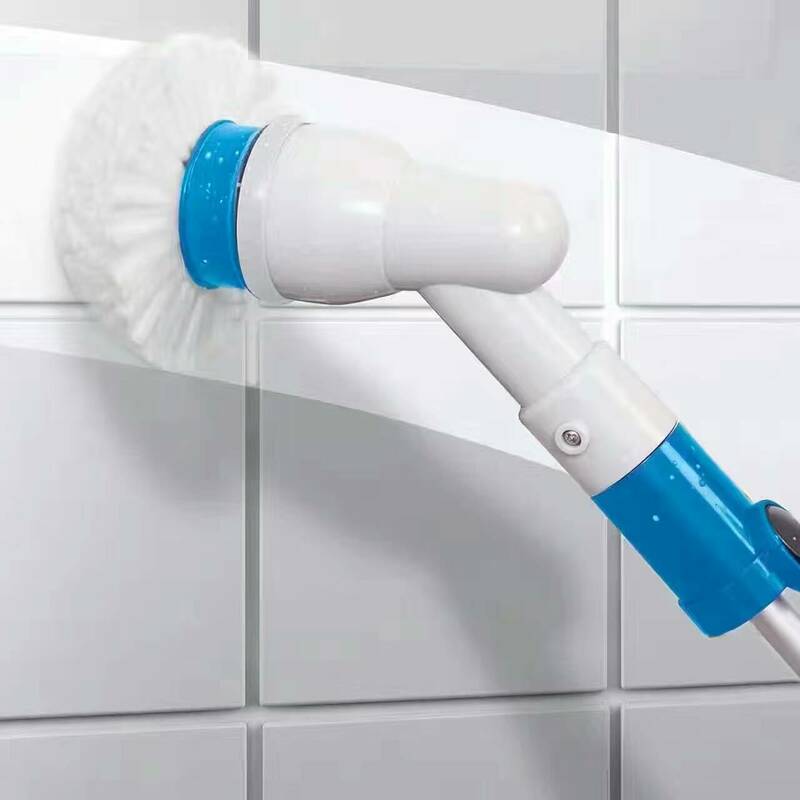 Powerful, flexible bristles cut through tough grime, scum and dirt in a breeze – 300 scrubs per minute! 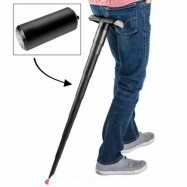 Helpful to those with arthritis or dexterity concerns. 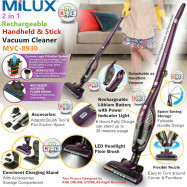 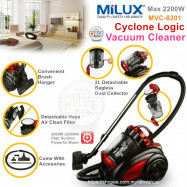 Finally, you can effortlessly remove mildew in a flash and without harsh chemicals. 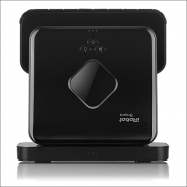 Hurricane Spin Scrubber comes with an AC adapter, so you can continuously clean without fumbling over wires or searching for outlets. 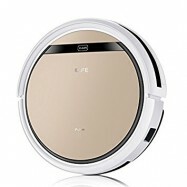 Single charge lasts up to 60 minutes. 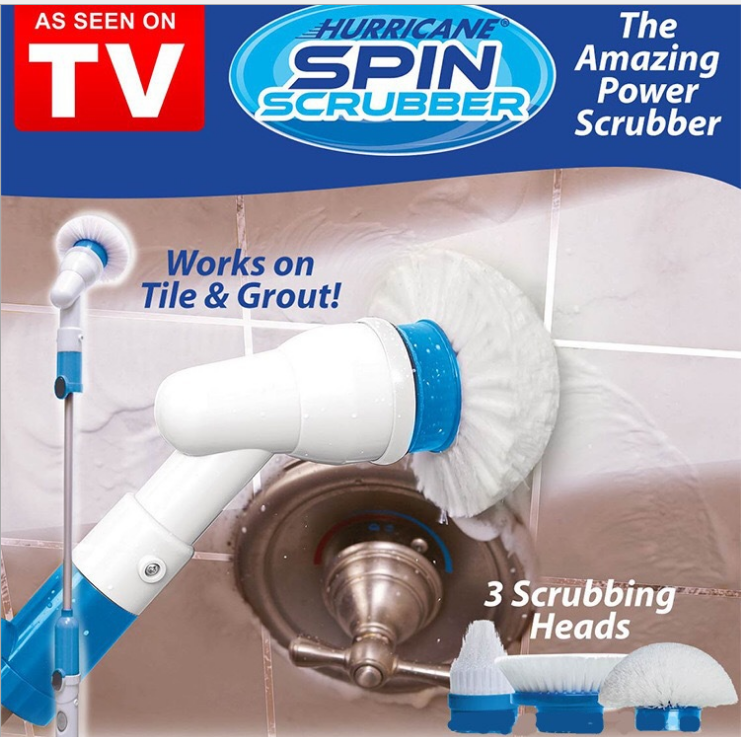 Plus, you get three different interchangeable scrubbing heads – one for fixtures and tubs, one for tile and grout, and another for tracks and corners. 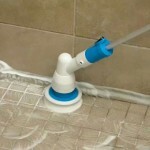 Everything you clean will sparkle! 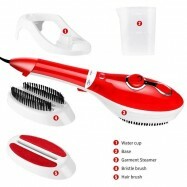 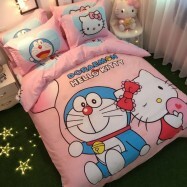 Perfect to use indoors or outdoors. 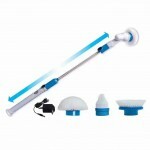 Extension pole up to 44''L.